Sophie qualified as a physiotherapist at Brighton university in 1996. 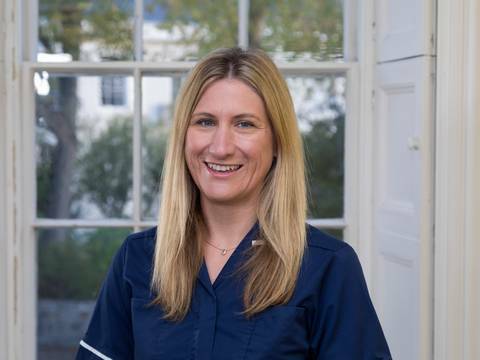 Sophie worked locally in the King Edward Hospital in 1997 before leaving to work in Plymouth from 1998-1999 as a junior physiotherapist. Sophie joined Queens Road in 2000 and has completed numerous musculoskeletal-based courses and has also qualified as an APPI trained Modified Pilates instructor. Sophie has an in-depth knowledge of musculoskeletal injuries, including spinal pain and soft tissue/sports injuries and rehabilitation. Sophie has a special interest in women’s health including prenatal and postnatal care, pelvic pain, stress incontinence and overactive bladder.